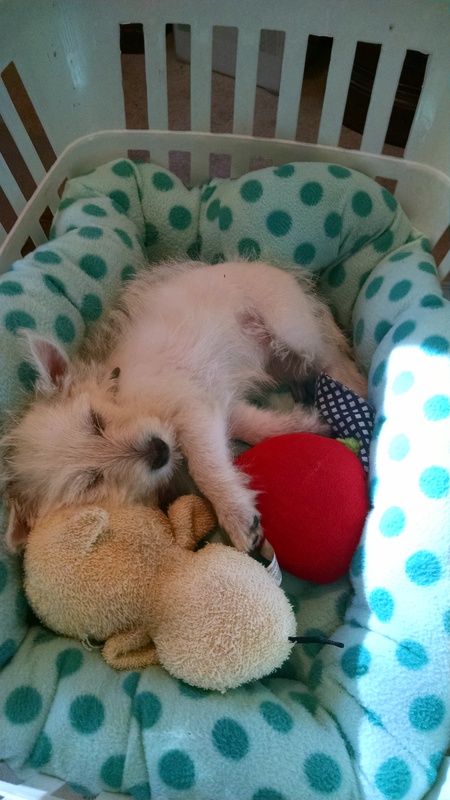 On Monday morning, we welcomed Gracie, a 10 week old Westie, into our home, our hearts and our lives! She is full of light, love and unending energy. For the next several months, our lives – hers and ours! – will be filled with “training”. First there is the usual “housebreaking” routine. So far, it is going pretty well. Then comes learning to NOT chew on electrical cords, the fringe on the good rugs and the leg of my side table. We are also trying to get her to understand what the words “no”, “down”, “come” and “stop” mean. As I watch her entertain herself with toys and scraps of paper and run and jump like a bunny in the yard, I also reflect on my own need to let go a bit and rediscover some of the creative, goofy, carefree puppy energy in myself. Not full time – I still have lots to do and deadlines to meet. But during these special, formative weeks ahead, I want to be intentional, take the time and join in some of Gracie’s puppy moments with her. Including taking great naps! I want her to train me, too! 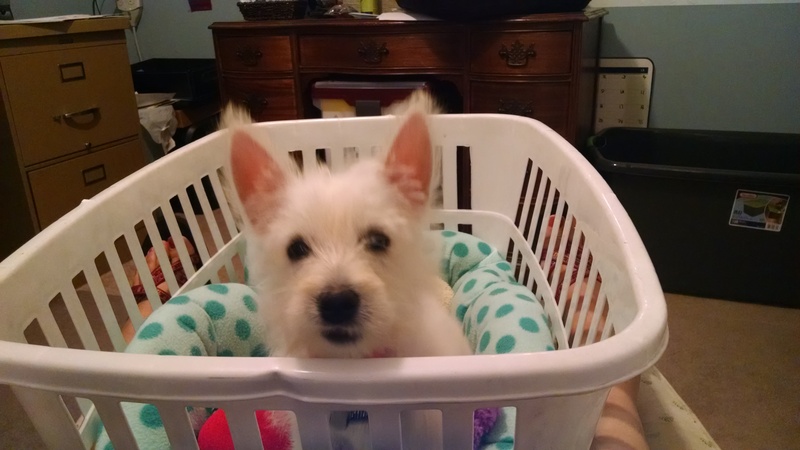 This entry was posted in Can Do Lifestyle, The Can Do Chronicles, The Can Do Workplace and tagged Can Do, Can Do Life, puppy, renewal by Cathi Coridan. Bookmark the permalink.